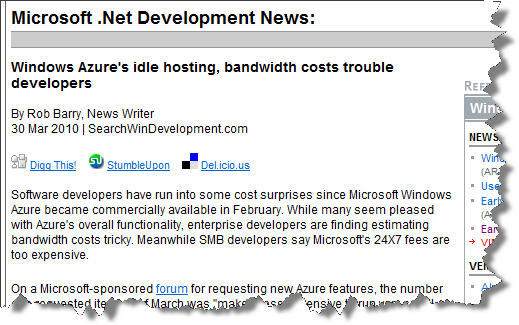 In the news: Got quoted in an article about Windows Azure cost estimation – Benjamin Day Consulting, Inc. I got interviewed a quoted for an article on Windows Azure cost estimation. One of the key points to remember is that, if your code is deployed to Windows Azure, you’re still getting billed even if it isn’t running.